New York Mets #37 retired in 1965. New York Yankees #37 retired in 1970. 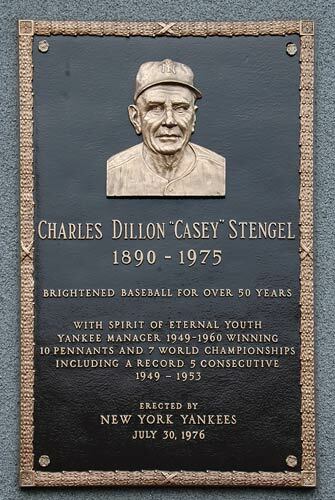 Charles Dillon "Casey" Stengel (July 30, 1890 – September 29, 1975), nicknamed "The Old Perfessor", was an American baseball player and manager from the early 1910s into the 1960s. He was born in Kansas City, and was originally nicknamed "Dutch", a common nickname at that time for Americans of German ancestry. 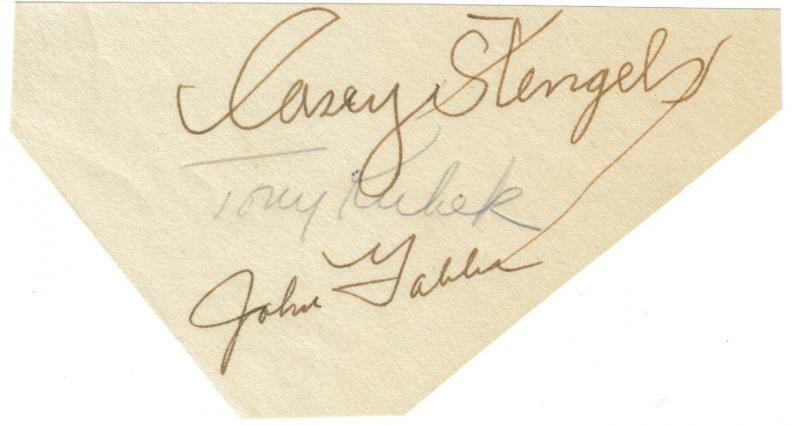 After his major league career started, he acquired the nickname "Casey", which originally came from the initials of his hometown ("K. C."), which evolved into "Casey", influenced by the wide popularity of the poem Casey at the Bat. 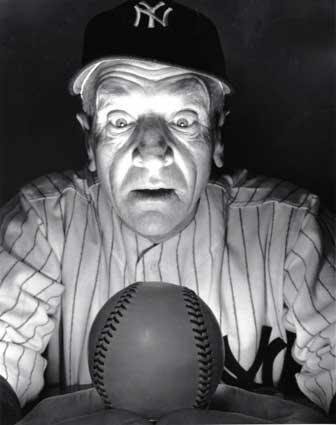 In the 1950s, sportswriters dubbed him with yet another nickname, "The Old Perfessor", for his sharp wit and his ability to talk at length on anything baseball-related. Although his baseball career spanned a number of teams and cities, he is primarily associated with clubs in New York City. 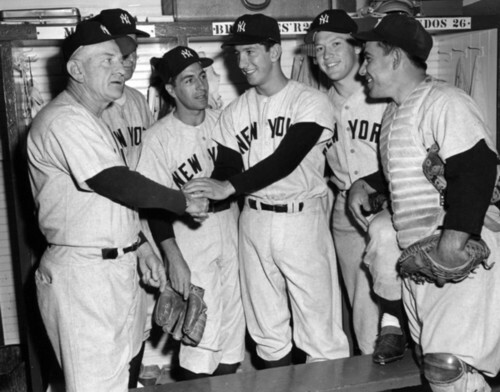 Between playing and managing, he was connected with all four of New York's major league clubs. He was the first of four men (through the 2007 season) to manage both the Yankees and the Mets. (Yogi Berra, Dallas Green, and Joe Torre are the others. Like Torre, he also managed the Braves and the Dodgers.) 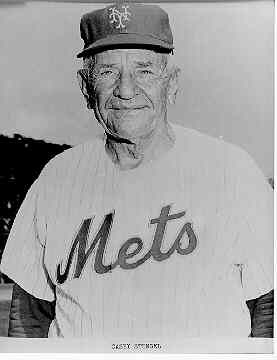 He ended his baseball career as the beloved manager for the expansion New York Mets, which won over the hearts of New York due to their "lovable loser" image and the unique character of their veteran leader. Stengel was athletically inclined and played various sports in grade school and high school, including baseball, football and basketball. He had no particular illusions of sports as a long-term profession, and he had aspirations of a career in dentistry. As described in his autobiography, on pages 58 and 75-76, he saved enough money from his early minor league experience in 1910-1911 to train to become a dentist. He had some problems due to the lack of left-handed instruments and the training was a struggle. Meanwhile, his minor league career picked up, as he was drafted by the Brooklyn Dodgers and spent most of the 1912 season playing for the Montgomery, Alabama, club in the Southern Association. He had "a pretty good year" with Montgomery, batting .290 with a reputation as a good base stealer. He was brought up to the Dodgers late in the season, and baseball soon became his primary occupation. In 1914 he got in touch with his baseball and football coach from Kansas City, Bill Driver, who was the football and basketball coach at the University of Mississippi. Stengel coached the Ole Miss baseball team to a 13-9 record. This is where he earned the nickname "The Professor". 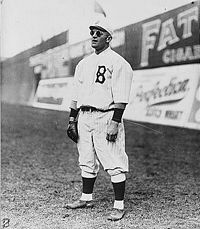 Stengel was an outfielder on several teams in the National League beginning on September 17, 1912: the Brooklyn Dodgers from 1912-17; the Pittsburgh Pirates in 1918 and 1919; the Philadelphia Phillies in 1920 and part of 1921; the New York Giants from 1921 to 1923; and the Boston Braves in 1924 and 1925. He played in three World Series: in 1916 for the Dodgers and in 1922 and 1923 for the Giants. He threw left-handed and batted left-handed. His batting average was .284 over 14 major league seasons. Nonetheless he had a good World Series in a losing cause in 1923, hitting two home runs (one of which was the first World Series home run in Yankee Stadium history) to win the two games the Giants won in that Series. He was traded to the perennial second-division-dwelling Braves in the off-season, a fact which apparently stung him. Years later he made the pithy comment "It's lucky I didn't hit three home runs in three games, or McGraw would have traded me to the 3-I League." In 1919 Stengel of the Pittsburgh Pirates was being taunted mercilessly by fans of the Brooklyn Dodgers, his old team. Somehow Casey got hold of a sparrow and used it to turn the crowd in his favor. With the bird tucked gently beneath his cap, Casey strutted to the plate amidst a chorus of boos and catcalls. He turned to the crowd, tipped his hat and out flew the sparrow. The jeers turned to cheers, and Casey became an instant favorite. 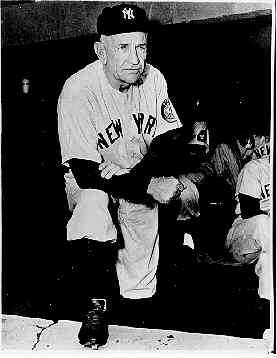 Stengel demonstrated he could be successful as a manager of a team having worthy talent. 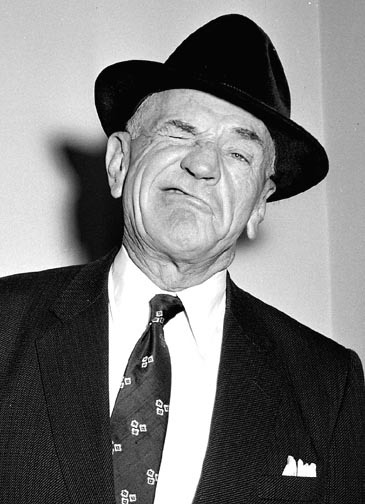 In 1944, Stengel was hired as the manager of the minor league Milwaukee Brewers, over the strenuous objections of club owner Bill Veeck (who was serving in the South Pacific with the Marines at the time, and therefore unable to prevent the hiring). 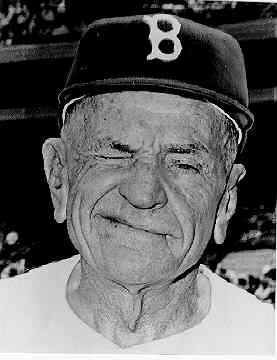 Veeck was proven wrong as Stengel led the Brewers to the American Association pennant that year. 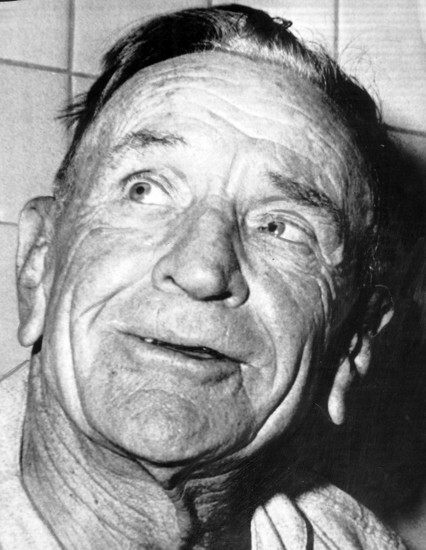 In 1948 Stengel managed the Oakland Oaks to the Pacific Coast League championship. This caught the attention of the New York Yankees, who were looking for a new manager. 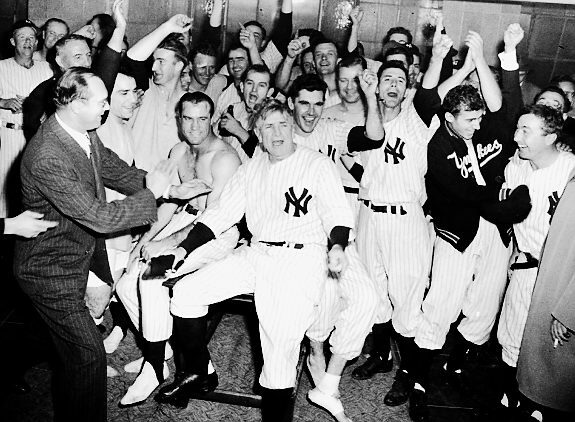 He proceeded to set records for championships, becoming the only person to manage a team to five consecutive World Series championships as the late-40s, early 50s Yankees became a juggernaut. He won two additional world championships and three additional league pennants afterward. 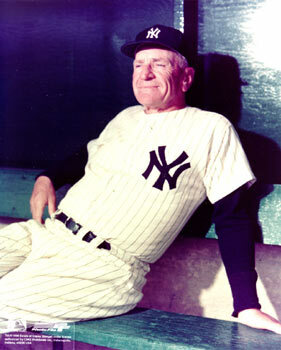 While managing the Yankees he gained a reputation as one of the game's sharpest tacticians: he platooned left and right-handed hitters extensively (which had become a lost art by the late 1940s), and sometimes pinch hit for his starting pitcher in early innings if he felt a timely hit would break the game open. 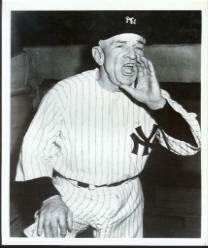 Stengel was a master publicist and promoter, especially for his teams. 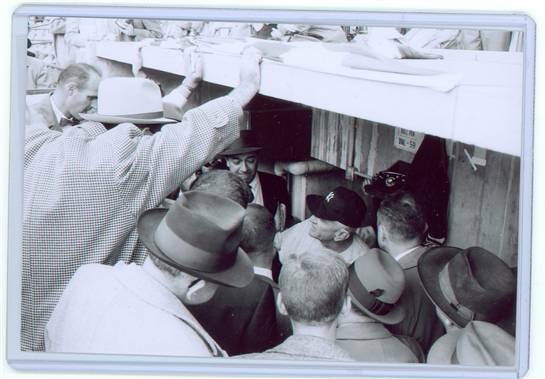 He was a captivating raconteur and especially during the years of success with the Yankees had the New York media eating out of his hand. 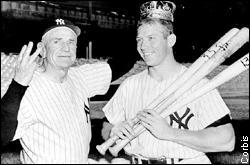 He became as much of a public figure as many of his star players such as Mantle. He appeared on the cover of national, non-sports, magazines such as Time Magazine. His apparently stream-of-consciousness monologues on all facets of baseball history and tactics (and anything else that took his fancy) became known as "Stengelese" to sportswriters. They also earned him the nickname "The Old Perfesser". 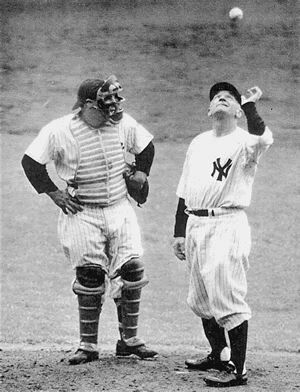 In the spring of 1953, after the Yankees had won four straight World Series victories he made the following observation, which could just as easily have been made by The Perfessor's prize pupil, Yogi Berra: "If we're going to win the pennant, we've got to start thinking we're not as smart as we think we are." 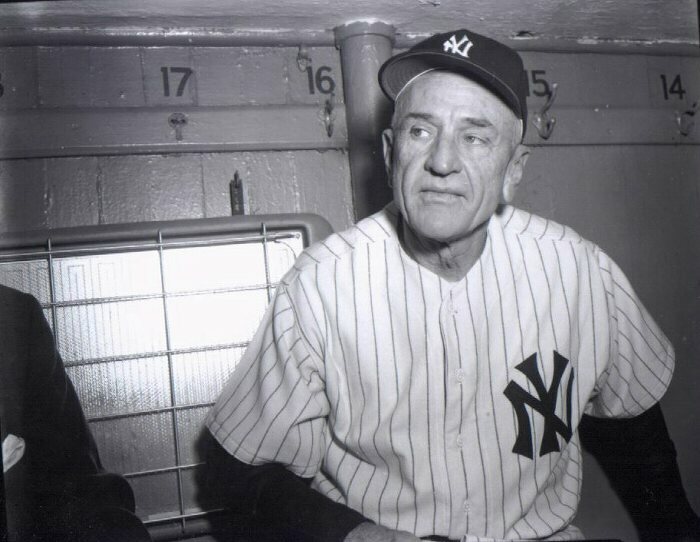 Although Stengel benefited from the Yankees' deep pockets and ability to sign players, he was a hands-on manager: The 1949 Yankees were riddled by injuries, and Stengel's platooning abilities played a major role in their championship run. Platooning also played a major role in the 1951 team's World Series run. 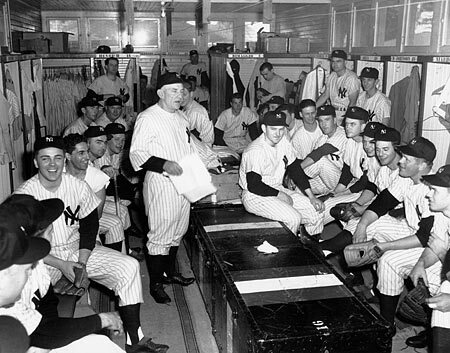 With Joe DiMaggio declining rapidly and Mickey Mantle yet to become a powerhouse, the Yankees were weak offensively. Stengel, leaving his solid pitching alone, moved players in and out of the line-up, putting good hitters in the line-up in the early innings and benching them for good fielders later. The strategy worked: The Yankees beat the Cleveland Indians for the pennant in September and took the Series from the New York Giants four games to two. 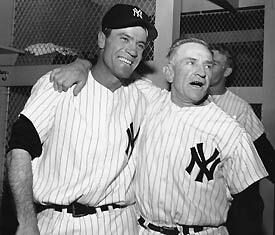 After losing to the Pittsburgh Pirates in the 1960 World Series after a ninth-inning game-winning home run by Bill Mazeroski, Stengel was involuntarily retired from the Yankees, because he was believed to be too old to manage. As reported in Ken Burns' PBS video, "Baseball," Stengel remarked that he had been fired for turning 70, and that he would "never make that mistake again." 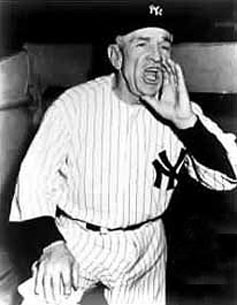 Over the years Stengel's tactical genius kept the Yankees in many games they might have otherwise lost. 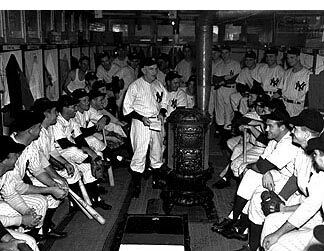 During that great run of 10 pennants in 12 years from 1949-1960 the Yankees weren’t much better than many of the other good clubs in the American league, especially Cleveland, Boston and Chicago. 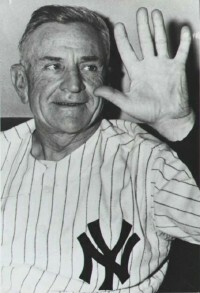 However, in the 1960 Series, Stengel’s moves allowed a perceived inferior Pittsburgh team to win in seven games. He held Whitey Ford out until Game 3, which only allowed the league's best pitcher to pitch (and win) two games. Art Ditmar started game 1 and he lost. There has never been any logical explanation why Ford didn’t pitch Game 1. He had pitched a couple innings of relief just 3 days earlier, but it had been a week since his last starting assignment. Another “mistake” that Stengel made was pinch hitting for slick fielding but light hitting Clete Boyer early in game 1. This kind of move was typical Stengel and over the years marked his method of success. But the pinch hitter didn’t come through this time and Boyer could be seen slowly and disheartened retreating toward the dugout dragging his bat behind him. This rankled the Yankee brass who wanted to see players like Boyer developed. Young players like Kubek, Richardson and Boyer made it known they didn’t feel comfortable with Stengel and he was let go. 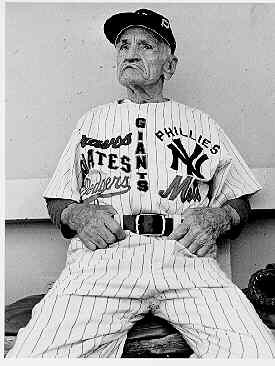 Though his "Amazin'" Mets finished last in a ten-team league all four years, Stengel was a popular figure nonetheless, not least due to his personal charisma. The Mets themselves proved to be as lovable, due in part to Stengel's charisma and the "lovable loser" charm that followed the team around in those days. Fans packed the old Polo Grounds (prior to Shea Stadium being built), many of them bringing along colorful placards and signs with all sorts of sayings on them. Warren Spahn, who had briefly played under Stengel for the 1942 Braves and for the 1965 Mets, commented: "I'm probably the only guy who worked for Stengel before and after he was a genius." His uniform number 37 has been retired by both the Yankees and the Mets. It is the only number ever to have been issued only once by the Mets. The Yankees retired the number on August 8, 1970, and dedicated a plaque in Yankee Stadium's Monument Park in his memory on July 30, 1976. 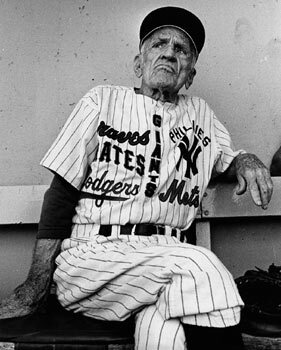 The plaque reads "Brightened baseball for over 50 years; with spirit of eternal youth; Yankee manager 1949 - 1960 winning 10 pennants and 7 world championships including a record 5 consecutive, 1949 - 1953." He was elected to the Baseball Hall of Fame in 1966 and inducted into the New York Mets Hall of Fame in 1981. 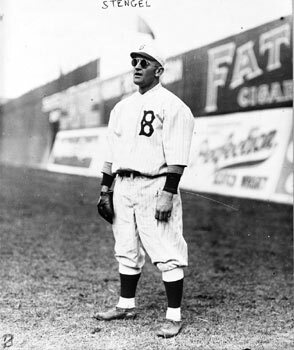 Stengel is the only person to have worn the uniform (as player or manager) of all four Major League Baseball teams that played in New York City in the 20th century (while each team was in New York City): The New York Giants (as a player), the Brooklyn Dodgers (as both a player and a manager), the New York Yankees (as a manager), and the New York Mets (also as a manager). Of this factoid, Stengel would often say, "You can look it up." Casey was admitted to Glendale Memorial Hospital in Glendale, California on September 14, 1975 after feeling ill. It was there that he learned he had cancer of the lymph glands. He died there of cancer 15 days later on September 29, 1975. 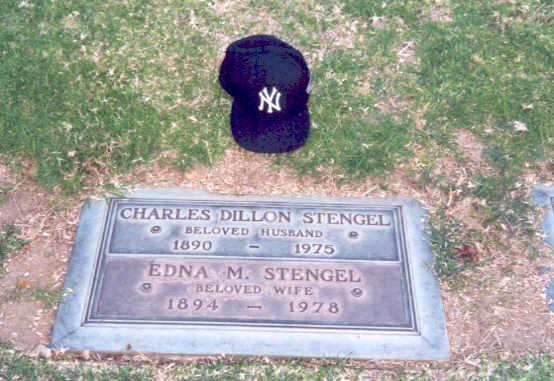 Stengel was interred in the Forest Lawn Memorial Park Cemetery, Glendale, California. His wife Edna, whom he had married in 1924, died three years later and was interred next to him. 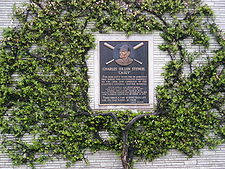 A plaque at the cemetery reads in part "For over sixty years one of America’s folk heroes who contributed immensely to the lore and language of our country’s national pastime, baseball". 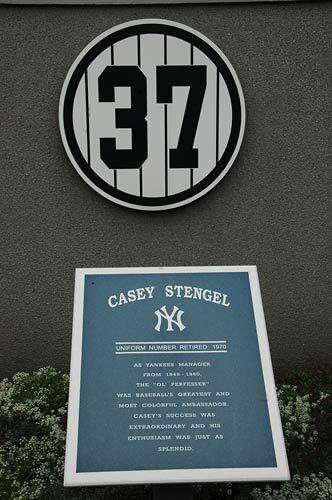 The Casey Stengel Plaza outside Shea Stadium's Gate E was named after him, as is the New York City Transit's Casey Stengel Depot across the street from Citi Field.